A friend sent a laptop here in my shop. 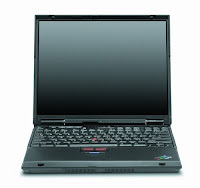 It's an IBM Thinkpad T20. After updating the bios, the said laptop won't boot. It shows this error: 0175, Bad CRC1, stop POST task. All google search points to one direction: a bad EEPROM and the only “solution” according to them is motherboard replacement. I can’t believe it is the only solution out there. Maybe someone can help me? Disable Automatic Updates Nag Screen "Do You Want to Restart Your Computer Now"
This always pops in every ten minutes or so after a successful windows update. But if you are in a middle of something and restarting your pc is not an option, it can become really annoying. Here's some tips to make to make it rest in peace. 3. On the left pane, navigate through Local Computer Policy > Computer Configuration > Administrative Templates > Windows Components > Windows Update. 4. On the right pane double-click on "Re-prompt for restart with scheduled installations"
5. A windows will appear. You can disable it totally, or you can set the minutes when it will prompt again. If you don't want to thinker with the registry or the group policy editor, here is a program that enable or disable that nag screen. Beep codes produced by a computer is very important for a Computer Technician. YOu can save a lot of time troubleshooting by just listening to these beep codes. That's why it is very important to bring your own PC speaker when you are in the field. I always encounter PC's that doesn't have a PC speaker, or if there is one, it is connected the wrong way (+ to - and vice versa) so make sure to check it first before doing anything else. Small but terrible. This is what i bring whenever i'm on the road. Check board/chipset makers website for more infomation. note that AWARD relies on motherboard manufacturers to develop their own beep codes - the above are only their own internal codes. You will need to refer to your own manual for an explanation of precise codes. Here are some examples of autorun viruses which rely on the autorun function of Windows to infect PC’s and flash drives. To prevent these kinds of viruses on infecting your PC, you need to disable autorun function in your computer, unfortunately, just shutting down autoplay is not a fix. You might think that you could protect yourself from AutoRun by adding two (2) keys to your Registry (NoDriveAutoRun and NoDriveTypeAutoRun) but these keys can be overridden by some programs. 4. Double Click your newly created registry file. Choose yes or continue to the warning that will appear. Hope these information help you. Maybe someone can send me the Funny UST Scandal.avi.exe virus along with the autorun.inf.